In Southern New Mexico there has been an outbreak of Equine Herpesvirus (Rhinopneumonitis). As of 10 February 2016, there have been 62 horses confirmed positive for Equine Herpesvirus-1 (EHV-1) at New Mexico’s Sunland Park racetrack. Sunland Park is adjacent to El Paso, Texas. The outbreak was first confirmed on 21 January 2016 at the racetrack which racing seasons runs from 18 December 2015 - 19 April 2016. The New Mexico Livestock Board said the animals were confirmed positive through the testing of nasal swabs or blood samples. The infected horses are housed across 19 different barns within Sunland Park, meaning two more barns have been affected since the board last gave an update on numbers. There are 1600 horses boarded at Sunland Park. Two positive horses are from an adjacent training facility called Frontera Training Center, which is close to the Sunland Park track. Frontera has always been included in the original quarantine perimeter. Two other nearby horse-training centers, Jovi and Lazy S, are also included in the quarantine area according to the New Mexico Livestock Board. According to the American Association of Equine Practitioners (AAEP) EHV-1 can cause four manifestations of this disease in horses, including neurological form, respiratory disease, abortion and neonatal death. Equine herpesvirus myeloencephalopathy (EHM) is another name for the neurologic disease associated with equine herpesvirus (EHV) infections. After getting infected the incubation period may be as short as 24 hours before a horse shows symptoms, however this could be longer, even as long as a week. With respiratory infections there is often nasal discharge but may not be much coughing. There may also be enlargement of the lymph nodes under the jaw. With the neurologic form there are usually the same respiratory signs but with an increased rectal temperature, greater than 102 degrees, hence the requirement of horses in quarantine having their temps taken twice a day. Other signs of the neurologic form may include: Lack of coordination; Lethargy; tilting of the head; Imbalanced movement; and, if laying down - an inability to rise. EHV-1 is very contagious and spread by direct horse-to-horse contact via the respiratory tract through nasal secretions or horse snot on a person or tack being transferred to other horses. So quarantining of known or suspected infected horses is very important. Additionally just as important is the sanitizing of any tack, horse trailers, or equipment, e.g.. water/feed buckets, grooming tools, halters and bridles, etc. Regular disinfectants, detergents and hand sanitizers are effective against the virus. Disposable personal protective equipment such as latex gloves, plastic bags for boots, etc., can all help from spreading the virus between horses. And while the virus can be transmitted via the aerial route (ever have a horse sneeze on you?) it is unknown at what distance the virus can be projected. The New Mexico Animal Health Board and Veterinarians also caution that the virus can normally remain alive for a week 7 and up to a month under optimal conditions for the virus. EHV vaccinations are common are included in 6 way immunizations which include protection against Eastern, Western and Venezuelan encephalomyelitis, influenza, tetanus and rhinopneumonitis EHV-1 & EHV-4. Initial immunizations are two shots, usually a month apart, followed by annual shots thereafter. I usually have my horses vaccinated every April, unless it is particularly warm then I move the shots up a few weeks. 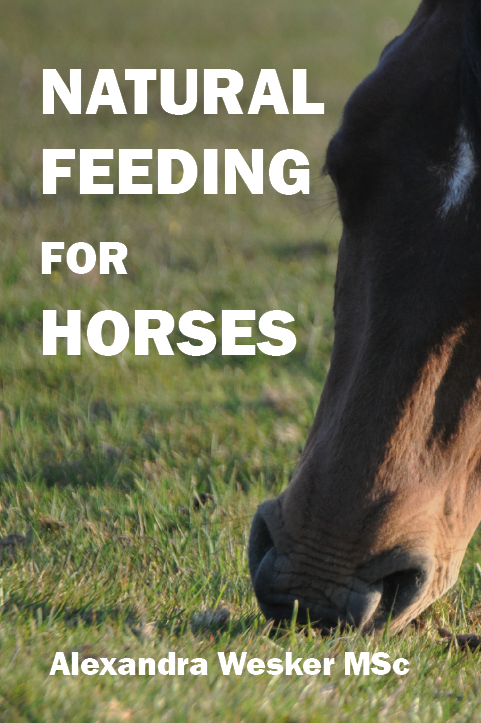 There is some belief that a booster for mature horses already on a annual schedule can help increase their immunity to EHV, or decrease the spread of the virus. Owners should consult with their Vet on whether this is a good idea in any particular case. However, there is no version of the EHV vaccine that protects against the neurological strain of the virus. I have cancelled plans to travel to a couple competitions just to be safe. Basically just waiting out the virus and see when the all clear is given for the infected race track and local training farms. Everybody has to make their own decisions regarding the risks they are willing to take, just understand that the horses are the one's actually at risk.